Don't Throw It Away … Craft It! Once empty, clean, and without a label, most glass bottles and jars are pretty on their own. With a few extra touches such as paint or ribbon, glass items that are commonly recycled can be truly beautiful! Clear, simple instructions guide readers through several crafting projects that use old items in a new way. Each craft encourages readers to individualize their project, adding color and detail they choose and like. Additionally, these books reinforce themes of reducing waste through recycling and reusing. When looking at an empty can of beans or corn, it can be hard to imagine it as a piece of art. With this book as a guide, however, readers will have the choice of several crafts in which to transform trash to treasure. Full-color photographs and step-by-step instructions help readers through each fun craft, introducing different artistic methods along the way. In addition, the importance of recycling and reusing old items presents conservation information in ways readers can immediately understand and put into practice. Toilet paper tubes, tissue boxes, and sheets of cardboard are sturdy beginnings for many craft projects to help pass a rainy afternoon. They can become decorations, gifts, or simply more exciting boxes! 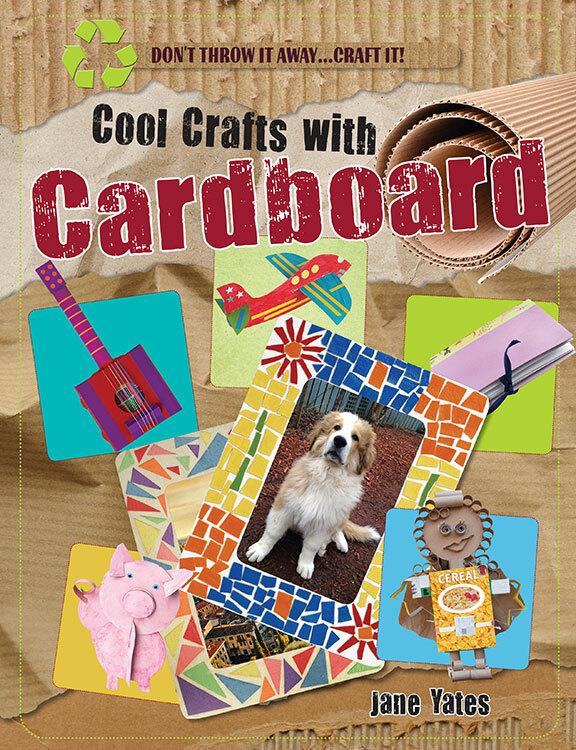 Readers follow step-by-step instructions to create amazing crafts using cardboard thats otherwise headed for the curb. The simple language allows readers of all ages to enjoy the many crafts in this book, but also provides places for the most artistic readers to show off their individual imaginations through extra color, detail, and more. What happens to cloth once a big project, such as making blankets or curtains for the home, is done? 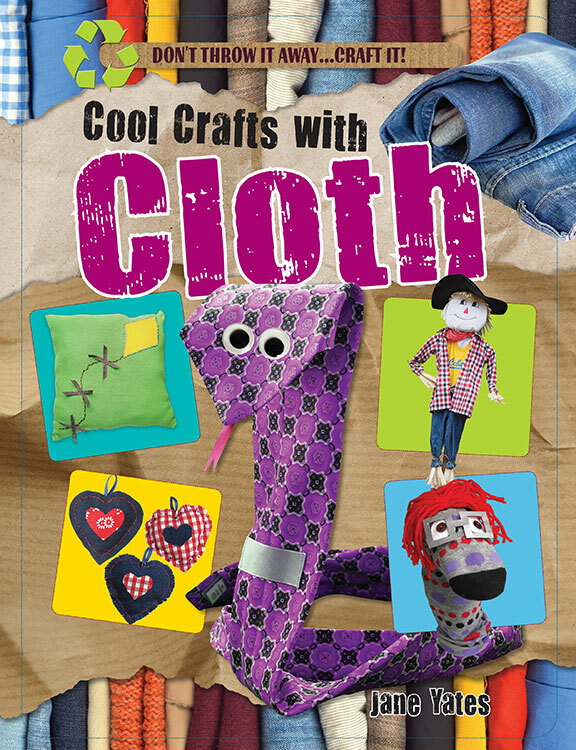 This book offers several possibilities for readers who love to craft! Clear instructions guide readers step-by-step through each project, showing how to complete it as well as where readers can add some personality to their cloth craft. An overall theme of recycling, reducing, and reusing waste offers readers practical ways to help the environment but still have fun and be creative. Once empty, clean, and without a label, most glass bottles and jars are pretty on their own. With a few extra touches such as paint or ribbon, glass items that are commonly recycled can be truly beautiful! 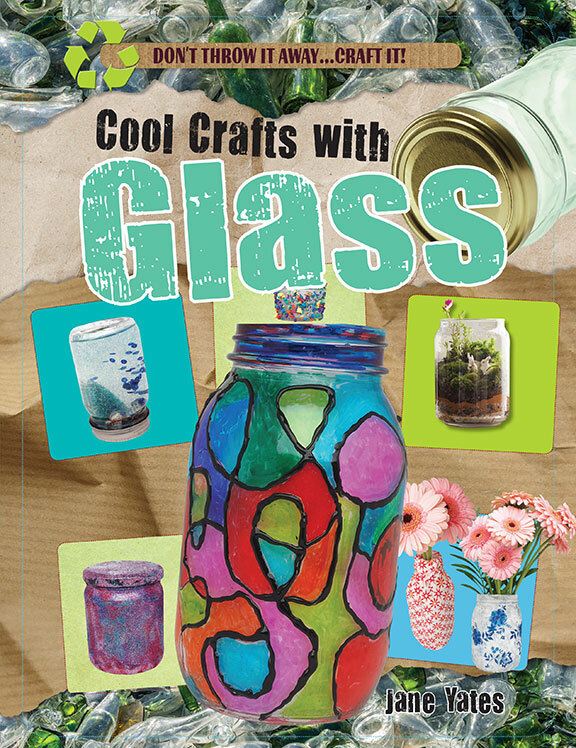 Clear, simple instructions guide readers through several crafting projects that use old glass items in a new way. Each craft encourages readers to individualize their project, adding color and detail they choose and like. Additionally, this book reinforces themes of reducing waste through recycling and reusing. Every household has an abundance of junk mail. What if you could turn it into something beautiful? With this book, readers can do just that by following the simple instructions to turn colorful junk mail into jewelry! 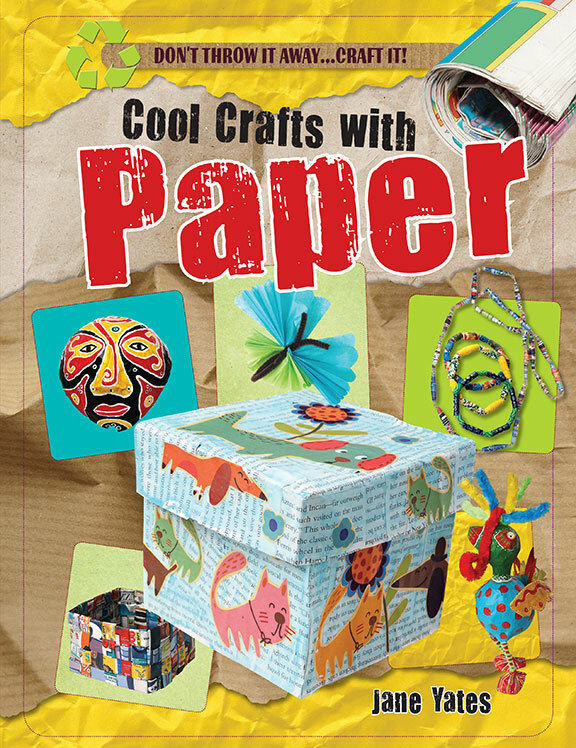 Packed with many other recycled paper crafts, this volume encourages readers to reconsider whats garbage and what can become something more with a little paint, glue, or glitter. 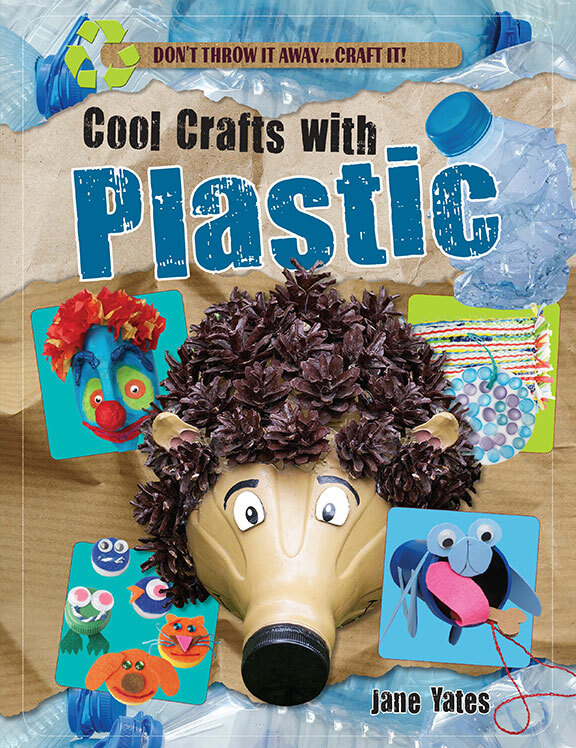 Each craft engages readers with art and creatively highlights how its possible to reduce and reuse waste every day. There are several places in the ocean where plastic has collected in giant piles, endangering animals that live nearby. Not much could be better for the environment than reducing the amount of plastic thrown away, especially if its reused well. 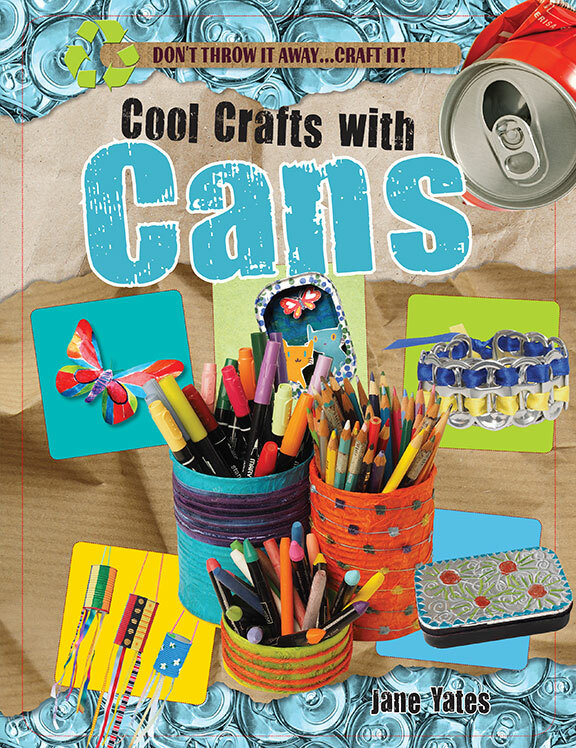 In this book, readers find crafts that beautify plastic containers, bottles, and more for use as gifts, decorations, and jewelry. Simple step-by-step instructions guide readers through each project as well as provide chances for each crafters creativity to shine through.